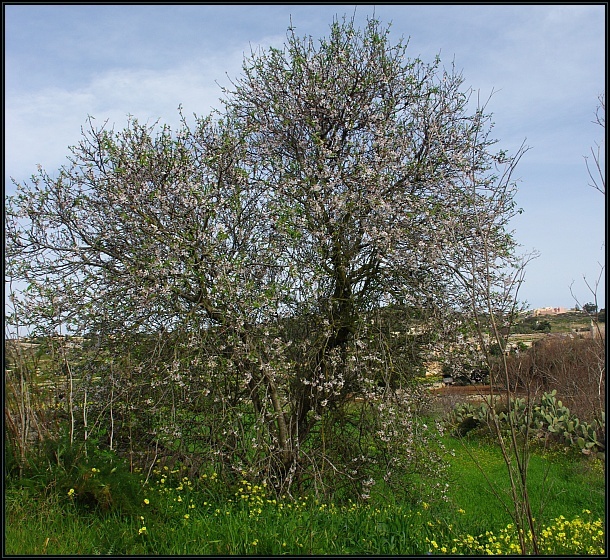 The almond (Prunus amygdalus) is a medium sized tree native to the Mediterranean basin. It produces abundant large flowers before leaf regeneration in early spring giving it a unique appearance. The seeds, which mature in late summer, are protected by a hard shell and a leathery outer covering. 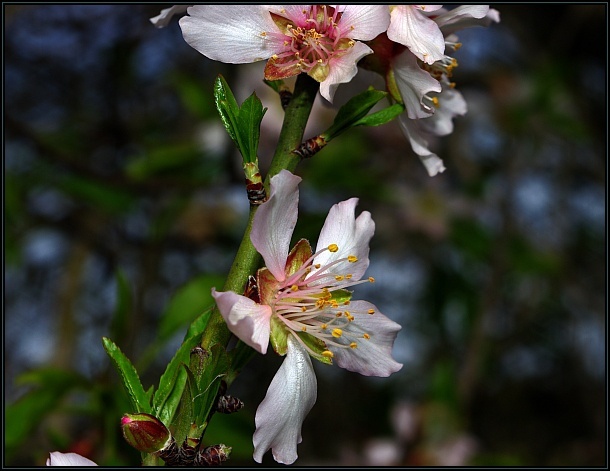 In the wild form the seeds are bitter due to the presence of amygdalin which on decomposition produces sugar, benzaldehyde (with its typical almond smell) and hydrogen cyanide (which is very toxic).